What Is the Most Effective Form of Online Advertising for Plumbers? PPC ads are a great tool for supplementing online visibility while organic SEO performs its process, but they can often be expensive. 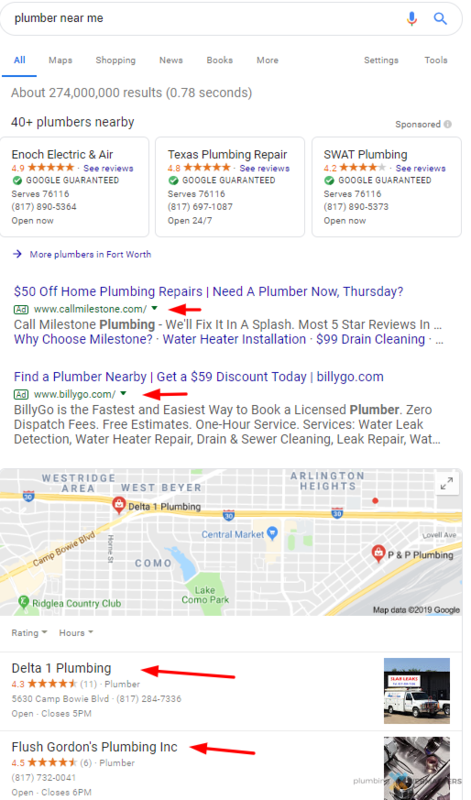 The organic results, however, are free of charge, and your ranking is determined by the quality and authority of your plumbing company website. The highest performing plumber advertising and marketing campaigns are located at the top of organic search results and research shows that traffic generated from those clicks more often are converted into actual customers, while PPC ads sometimes attract “empty clicks” and have a lower probability of conversions. At Plumbing Webmasters, our business is designed to aid your plumbing company in each of its marketing endeavors. We are leaders in the plumber SEO industry and know how to effectively market your plumbing business and keep you ahead of the game. We have years of experience working with local plumbing contractors, and we are authoritative providers of effective marketing tips for plumbers. Your plumber marketing strategy needs to include extensive content that is compelling and builds trust and interest in your potential clients. This leads to conversion rates and higher rates of web traffic. Your website needs to be crafted with responsiveness in mind, and a unique design. Your website should be focused on clients first and search engines second, but you need to appeal to both. If not, you will have low conversion rates and a lower ranking on Google. Your best approach to plumber advertising and marketing is to dive straight into the extensive world of plumber SEO. Don’t have the time or resources to handle these things in between plumbing jobs? That’s why there are professional plumber SEO companies such as Plumbing Webmasters. We handle all of your internet marketing needs so that you can focus on running your business, while we develop your online presence. 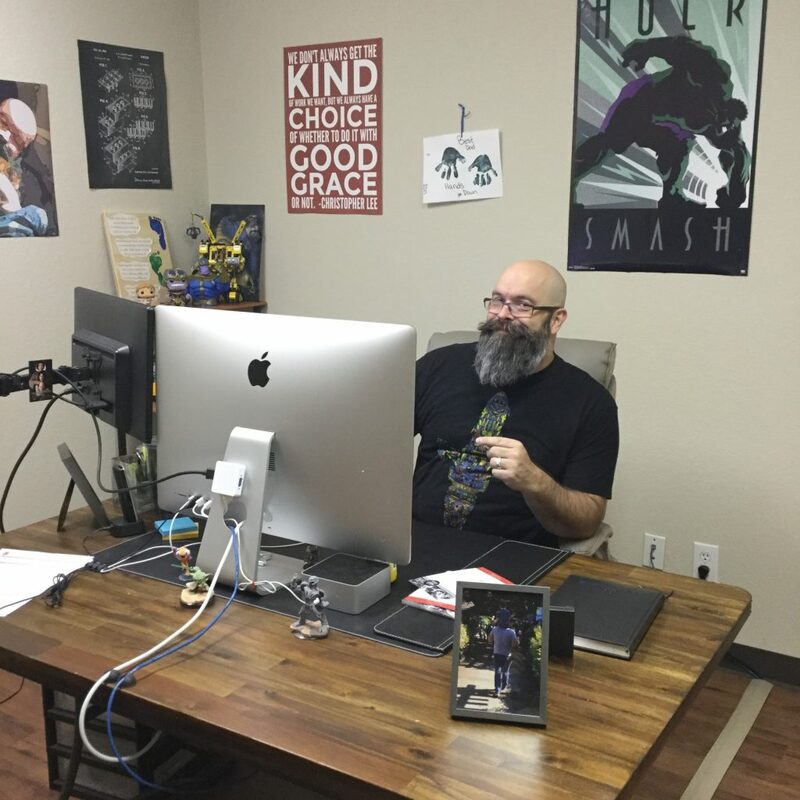 Our team of optimization experts is constantly on the cutting edge of digital marketing. We regularly evaluate trends and determine how to incorporate them into a more complete online marketing strategy. Plumbers hoping to improve search visibility in 2019 should invest in an all-inclusive SEO experience. At Plumbing Webmasters, we offer a variety of digital marketing services for plumbing companies. We start by designing an optimized website with premiere coding and a completely unique design for your company. With your consultation, we will even create a custom logo for your plumbing company website. These are only the first steps in developing brand recognition within an online presence. We also offer comprehensive plumber advertising & management services to get you on Google SERPs. If you’re ready to invest in an internet marketing strategy that will earn you the highest return on investment your company has ever seen, you’ve come the the right place. Our expert SEO team offers the most effective method of continuously improving plumber marketing ROI for local businesses. SEO is an excellent way to improve your search visibility, and with a professional team like the one at Plumbing Webmasters, you can count on high conversion rates as well. Updated on April 11, 2019 at 4:28 pm by Plumbing Webmasters.